In my last post, I discussed how I got to the TileSet that I used in Waca Waca. In this post, I am going to talk about where I went from there to 3 full sets for our upcoming version of Paradroid. Once I had a complete set of tiles for the game with animations for both vertical and horizontal doors, The charging stations and the door in the crafts (I couldn’t think of a name for it, so silly door stuck). Yes, its even called that in code. I then set about making copies of the TileSet and making the 7 different colour combinations, this was a bit of a labour of love. It was basically fill in the pixels with the different colours. I am sure there is a piece of software or it’s in the software I use to swap colours out but I couldn’t find it! After a while was quite therapeutic! 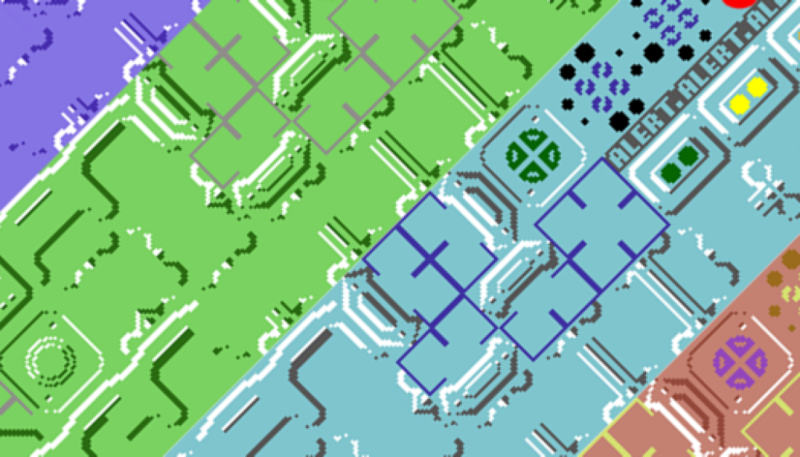 I then moved into Tiled and made all the levels of Paradroid into individual maps. Again quite a slow process as it meant playing each deck through making sure I had all the right pieces to make the whole dreadnaught. After many hours (probably days) I recreated each deck with tiles correct. 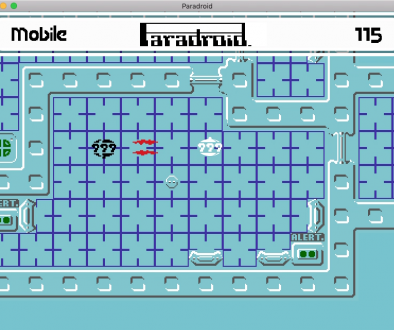 A meeting later with Tony we looked at a couple of different versions of Paradroid to see what else we had to do. During this, we decided we liked the “Heavy Metal” variant of the game’s graphics as well. So I set out ripping the graphics out piece by piece as mentioned in the previous post. This turned to be harder than the original set of graphics because the colour scheme wasn’t as clear. Examples from Paradroid Metal Edition. Also during this time, we saw there was another remake of the game, FreeDroid for Unix and Windows. This had very nice high-resolution graphics which look really nice, this was a fairly straightforward task of recreating the TileMap with all tiles in the same positions as my Tilesets already created. But there was a problem the game omitted the “silly door”, so back in my paint package I recreated the missing tiles in a style of the Freedroid graphics.